This site contains referral links. Our main site to which we refer is Amazon. Since we buy everything from furniture to diapers from Amazon.com, we decided it was time to try their Amazon Associates program. Therefore, the links in this blog may be referral links that all go to products we genuinely use, recommend, and/or think would be a good fit for our family our the families of our readers.. We don’t expect to make much from this program, but here is our official disclaimer: Nateandrachael.com is a participant in the Amazon Services LLC Associates Program, an affiliate advertising program designed to provide a means for sites to earn advertising fees by advertising and linking to amazon.com. 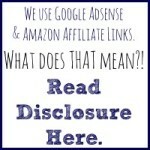 Similarly, we participate in Google Adsense. While I eagerly accept compensation in return for a review or sponsored post, all opinions are my own. If you have reason to doubt my integrity and honesty, please read this post. Copyright Notice: © (from Nateandrachael.com and NothingifNotIntentional) Unauthorized use and/or duplication of this material without express and written permission from this blog’s author and/or owner is strictly prohibited. Excerpts and links may be used, provided that full and clear credit is given to NateandRachael and NothingifNotIntentional with appropriate and specific direction to the original content. One picture may be used with written permission. We make every effort to credit ideas and content appropriately. Please email or leave a comment if you feel there has been an error or oversight! This blog is a personal blog written and edited by me. 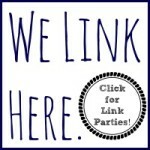 For questions about this blog, please contact Nothing if Not Intentional (at) outlook (dot) com. I love writing reviews and offering giveaways to my readers! If you think anyone in my family (two young girls, a dog, mom, dad) or our loyal readers could benefit from your business or product, please email me at nothingifnotintentional @ outlook.com. I prefer giveaways to be valued at or above $50. If your product is valued at less than this amount, you can offer multiple products. I will need a full-size, non-returnable product to review. You are responsible for shipping both to me and our winners. Entry methods are at my discretion.